Most businesses are focused on assembling the best team. But when a business starts scaling, it’s difficult to know who does what well after a certain point. With so many employees, it is also difficult to know who is most suited to work with whom. Thankfully, ProFinda solves this problem. Using company data, the platform maps employee’s strengths so it’s seamless to construct the most fitting team possible. Born from personal struggles, the company has already saved 1000’s of hours and increased productivity for companies worldwide. Already working with large multinational companies in healthcare, government and media, ProFinda is the solution for companies that value effectiveness and building the right team dynamic. 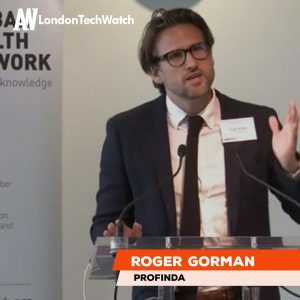 LondonTechWatch chatted with founder Roger Gorman about the company and their most recent round of funding. Notion, Nextlaw Ventures and a number of Business Angels are our main investors. 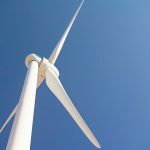 The investment is venture capital and an accelerator round ahead of a significant Series A later this year. We are solving one of the largest challenges facing every mid to large company in the world. To put it simply, no one really knows anyone else. After all the money that businesses spend on recruiting great people and training up others…not much is done to ensure those people are put in the right places. Every time you have to pull a bid together, or assemble the ideal project team, or even onboard your new starters, you wind up spending a frustrating amount of time mass emailing and asking around to find people…who may ultimately end up being the wrong ones for the task anyway! Many companies recognise that they have an issue with putting the best staff to work on the projects that need them most. This rings especially true when a business expands from 200 to 2,000, and then on to 20,000 and 200,000 – the problem just gets worse. Companies make the mistake of investing solely in management tech or buying solutions like email or messaging software. ProFinda’s system allows businesses to make the most of these investments. ProFinda uses AI to create a live and accurate knowledge bank of all the skills and competencies within a business. It then offers two unique interfaces; one is like a ‘Google-esque’ experience to immediately find the right expertise and the right insight. This is a game changer for bids and project resourcing. There is also an interface that’s kind of like a matchmaker. It maps all the projects and questions and then links them to the right talent. This is a gamechanger for L&D, engagement, and ultimately utilization and churn. It also finally helps large multinationals to have a single view of their extended workforce: internal, contingent and alumni. Perhaps the best way to imagine our work is to think of ProFinda as a company’s ‘who engine’. The inspiration for ProFinda was honestly fairly selfish! It was to help me with my day job. I was helping run innovation for a large network of 100,000 individuals. The bids I was working on were sometimes well over £50m in value. But throughout every pitch I’d find myself running around and only ever accessing 1% of the network’s collective brain power. This seemed insane to me. I knew if I could unlock our collective knowledge I’d have a much easier life and make a ton of revenue. Actually the last bid I worked on was a £200m opportunity for a pharma company. And to help me with the project I was given the switchboard numbers of 15 companies in the network. Needless to say this was a fail because it wasn’t a directory of 94,000 colleagues that I needed, it was the right knowledge and the right experts at the right time. For this particular pitch I then spent 5 full weeks whizzing around our Chinese, Brazilian and Indian businesses mapping out on Excel the various rockstars – and I was blown away. I uncovered a ton of heroes who held some tantalizing domain experience. The outcome was a unique blend of experts who ultimately made my life easy. We won the big bid through just 1 meeting on NYE! I was sold on the idea of digitising what I was doing. So my vision for ProFinda was born. It would be a super slick, fun experience (more like a B2B app) to better connect people based on their knowledge and skills, providing organisations and networks with powerful tools to leverage their most important asset: their people. I therefore started ProFinda with £25K of angel investment. Six years, £4.8m in funding, and a lot of work later, ProFinda has made some significant milestones on the journey to reinvent the world’s largest brands, impact communities and global philanthropy. 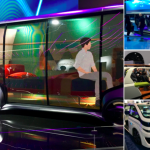 I’m now sharing our adventure with 30+ colleagues and after years of learning, ProFinda has secured deals and partnerships with some of the world’s largest and most powerful organisations. From around 2002 the world went crazy for ‘social’ platforms like Yammer, Chatter and so on. Then, from about 2015 the market turned its attention to IM tools. In both chapters, the people were focusing on the wrong things and trying to solve the wrong problem! We don’t need another way to talk. We all have Whatsapp, email, text, Slack, meeting rooms, conferences etc. They are simply HOW technologies. The problem is not HOW to talk… it is WHO we need to talk to. That’s what ProFinda sets out to solve. This old-fashioned approach is proving increasingly costly for organisations, which are more dispersed than ever before – across cities, countries and continents, using matrix management and remote working. ProFinda was born out of the challenges facing organisations locally and globally. And every firm with over 250 staff in the world has, at the very least, a fairly disconnected, siloed culture created by top-down strategies, management centric technology, broken workflows and frameworks that aid management instead of employees. No amount of IM solves this. In fact social platforms and IM reinforces the same social siloes we know and have. The reality is that companies have spent a fortune to hire and train amazing people, which have a vast array of knowledge but without the means to connect with each other. So knowledge-based organisations remain crippled by the main fact that there is no ‘WHO’ engine. Our addressable market is vast. It covers firms from 250 up to the largest multinational corporates. And sector wise our focus is (thus far) knowledge-based ones: FS, PS, Oil and Gas, Media, Healthcare, Government etc. We are increasingly working through partners and incredibly proud of our relationships with some of the world’s largest consultancy firms that are now taking us to their clients. Multinationals (5k staff – 300K staff). ‘Corporate networks’ which represent the future of work. These are new smaller hubs of full time employees (eg 25 staff) but leveraging a wider large liquid talent pool of sometime 50,000 consultants). This is like the gig economy on steroids. We also work with a number of strategic networks such as Global Tech Advocates, CloserStill Media and Workforce Of The Future Network etc. What aspects of matching still need perfecting? We’ve made huge progress in the last few years, but we’ve got a way to go before we get to where we want to be. Over the last few months alone we leveraged millions of CVs to improve the intelligence of our knowledge graph. Over the next year we’re aiming to build on and refine our technology, ingest much greater levels of data and train our machine learning algorithms to analyse, learn from and provide better, more relevant connections, recommendations and predictions for our clients to utilise. There have been some scary moments in the past. But now our story seems to be speaking for itself. 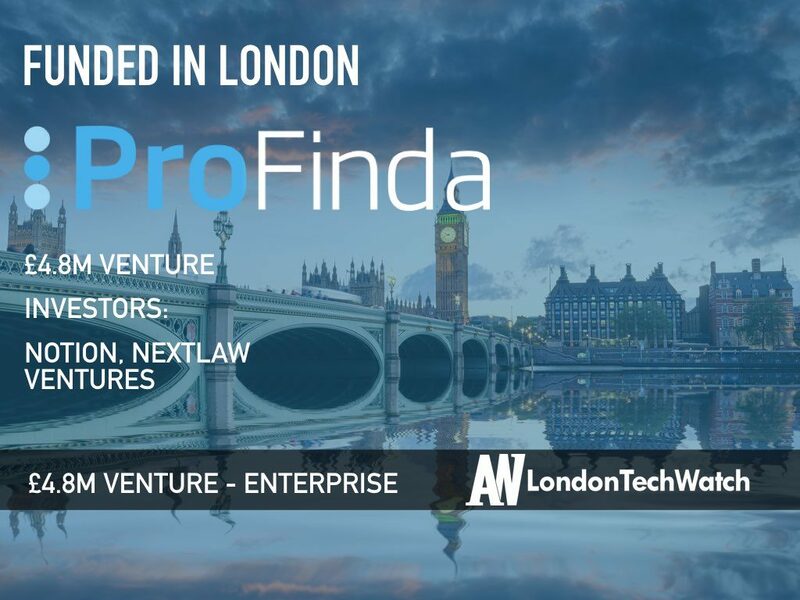 It has taken a long time to get to where we are but by fundraising and acquiring funds from strategic VCs, funds and Business Angels we’ve successfully built a strong and dynamic advisory team around ProFinda that continue to support and believe in the potential of what we can achieve as a business. Raising capital is relatively ‘easy’, assuming you’ve a great story and solid team. The challenge is then more around finding the right ‘type’ of money. Ideally you want strategic capital, and from sources that really do see and buy into the same vision. Everyone who’s invested shared our vision of becoming a world game changing technology used by businesses across the world. 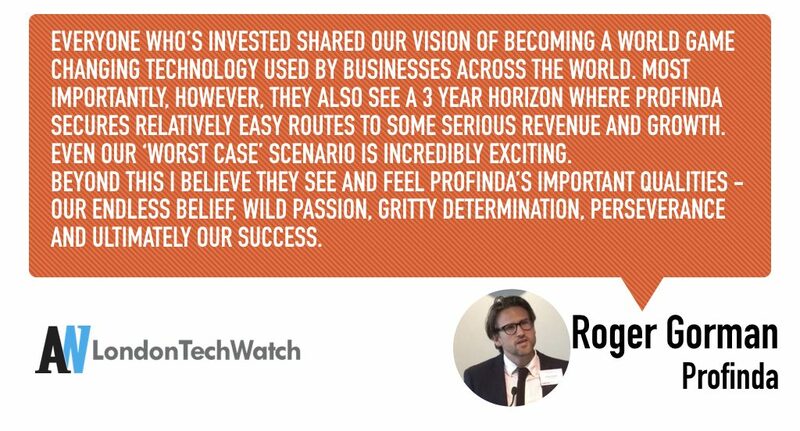 Most importantly, however, they also see a 3-year horizon where ProFinda secures relatively easy routes to some serious revenue and growth. Even our ‘worst case’ scenario is incredibly exciting. Beyond this I believe they see and feel ProFinda’s important qualities – our endless belief, wild passion, gritty determination, perseverance and ultimately our success. In all aspects of the business I’m on call 24/7 to investors and potential investors, to answer their questions and to take them on our journey. 2018 is going to allow ProFinda to capitalise on all the opportunities and successes that 2017 brought. Following the latest investment raise – we will continue to build out a strong ProFinda team with talented hires and deliver our roadmap of new features and technical requirements for our customers. We will invest significantly into our AI and intelligence, and spend more and more time with our channel partners. Don’t give up – every no is a learning experience and the next opportunity is just around the corner. Try to learn that there are a lot of ‘time wasters’ out there. These are not bad people, but they don’t realise a fake “yes maybe, we should meet again” is a waste of both your, and their, time. Therefore, try to spend time with people who feel legitimate, and share your passion. Seek a visceral sell with them, not only an accountancy ‘sell’. This year, we’ll be growing out our highly strategic team and entering into new markets around the world, into organisations that need our tech. What’s your favourite tourist destination in London? Parliament Hill in Hampstead Heath is one of my favourite spots. From there you can see and look over the whole of London. Gives you a sense of perception.